Consisting of Fliport Xiamen. Fliport Fujian, Fliport Qingdao and Fliport Tibet catering companies, etc. Besides the airline catering products, core products such as frozen prepared food and local gifts have been radiating the national market. Xiamen Fliport Catering Co., Ltd. 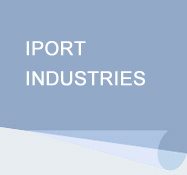 It is a joint venture enterprise established by Iport Group and Hong Kong Maxim’s Group, integrating flight catering, food processing and catering service, which has been the supplier for the transnational chain catering giant Yum! Brands Inc. and Starbucks. Fujian Fliport Catering Co., Ltd. In accordance with the brand concept of ‘100% healthy’, grounded on research and creation，having made the first enterprise standard for ‘frozen lunch box’ in Fujian province, is committed to becoming the most professional cold-chain catering enterprise which provides customers with healthy food. Tibet Fliport Catering Co., Ltd. It is a modernized enterprise integrating flight catering, food processing and catering service which is committed to exploring business closely connecting professional aviation catering with Tibet feature to establish a well-known catering brand in Tibet. Qingdao Fliport Foods Co., Ltd.
Qingdao Air Catering build upon its core value of "safe, experience, healthy, care, contemporary and delight", benefiting from its Qingdao geo/political location, focuses on developing professional prepared airline meals and bakary product for Beijing Tianjing Hebei and Eastern China. Links Xiamen International Airport Co.Ltd. Fuzhou International Airport Co ., Ltd Wuyishan Airport Co., Ltd. Longyan Guanzhaishan Airport Co., Ltd. Arport Air Cargo Terminal (Xiamen)Co., Ltd. Arport Ground Handling Services(Xiamen) Co., Ltd. International Airport Cargo Terminal Co., Ltd. Xiamen Arport Coast Co., Ltd. China-Singapore Airport Management Academy Xiamen Fliport Hotel Group Co., Ltd. Xiamen Fliport Huixin Hotel Co., Ltd. Xiamen Fliport Software Park Hotel Co., Ltd. Jinjiang Fliport Shiji Hotel Co., Ltd. Zhangzhou Fliport Yuanshan Hotel Co., Ltd. Fuzhou Fliport Seaview Hotel Co., Ltd. Liancheng Fliport Forest Villa Co., Ltd. Xiamen Airport Garden Hotel Co., Ltd. Fuzhou Airport Garden Hotel Co., Ltd. Lhasa Garden Hotel Co., Ltd. Xiamen Fliport Inn Wanghai Hotel Co.,Ltd. Fuzhou Fliport Inn Haibin Hotel Co., Ltd. Wuyishan Fliport Inn Xiazhou Hotel Co.,Ltd Xiamen Fliport Giftport E-Commerce Co., Ltd. Xiamen Fliport Travel Agency Co., Ltd. Fujian Fliport Strait Media Co., Ltd. Tourist Centre Xiamen Anport E-Commerce Co., Ltd. Xiamen JingFa Machinery and Electric Equipment Tendering Co., Ltd. Xiamen Anport Logistics Management Co., Ltd. Fujian Anport Logistics Co., Ltd. Xiamen Panport Property Service Co., Ltd. Fujian Panport Asiaray Joint Advertising Co., Ltd. Xiamen Fliport Catering Co., Ltd. Fujian Fliport Catering Co., Ltd. Wuyishan Fliport Tea Co., Ltd. Xiamen Fliport Laundry Co., Ltd. Fujian Panport Property Co., Ltd. Xiamen Panport Intelligent Technology Co., Ltd. Xiamen Panport Flora Co., Ltd. Fujian Airport Express Transportation Co., Ltd. Xiamen Airport Express Transportation Co., Ltd.